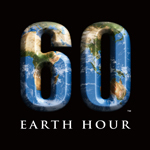 Reminder: Earth Hour occurs on Saturday, March 28th at 8:30pm (that’s TODAY people). Individuals, families, business, politicians, film sets and YOU can participate by turning all the lights off for 60 minutes (anyone can handle that, right?). For more in depth information about Earth Hour 2009, visit Wenona’s post from February or the Earth Hour US website. What can you do when the lights are out? Play board games by (soy) candlelight, tell scary stories in the dark, build a fort in your living room, snuggle with your loved ones and chat, sip a glass of wine and reflect, lay on the grass and gaze at the stars, or go to bed early. Don’t forget Earth Day is coming up on April 22nd. How will your family celebrate our great planet? We’ll be celebrating Earth Hour tonight! Check out my post on fun activities to do with your children in the dark! Happy Birthday Dr. Seuss: When Are Product Tie Ins Okay?